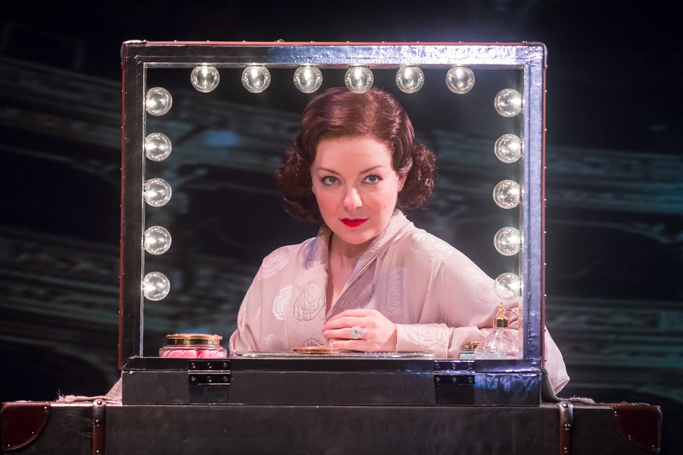 In two recent interviews, musical theatre star Sheridan Smith has been very frank and revealing about her own mental health issues – ones that coincided with her father’s diagnosis and subsequent death from cancer, and led her to having a very public breakdown during the West End run of Funny Girl. Being honest and up front is a way of reclaiming the narrative, as well as the responsibility around what happened. By the same token, I’ve just interviewed the Broadway and TV actor Patrick Page, who is currently making his London debut starring in the new musical Hadestown that is now in previews at the National Theatre ahead of opening officially on November 13. He spoke openly about his own struggles with depression. I, too, have a long history of suffering regular bouts of depression. My last – and longest – bout ran for some 21 months. But I’ve been proud to have shared my struggles publicly, and also my recovery. In 2013, I wrote a column for The Stage in which I publicly outed myself as a sufferer. Since I wrote that column, I’ve discovered something else about myself and been personally and publicly honest: the way I used addictive behaviour to ease and numb the pain. And it was in tackling this with the help of a 12-step programme that I also found a way out of depression nearly four years ago. Not everyone is an addict who can join a recovery programme to address their addiction, but there’s increasingly an acknowledgement of the role of mental health – particularly as it affects the workplace – in all of our lives. As well as less stigma being attached to seeking out therapy and/or pharmacological solutions, there are now also much quicker private and confidential channels for people to access help, bespoke to the theatre industry. The Society of London Theatre and UK Theatre have joined forces to provide a free 24-hour helpline, while further resources are available via the ArtsMinds website, see below, of which The Stage is a partner. But the most important thing is openness and an ability to talk about it without shame or fear. Theatre is a safe place for sharing stories in the dark – but also a place where those who feel they are literally in the dark can find our stories being told, too. One of the most powerful musicals I’ve seen so far this century was the Broadway hit Next to Normal, which chronicles a woman’s own journey through bipolar disorder. It is long overdue a UK showing – not just as a great piece of theatre, but also for the healing it could bring. Help via ArtsMinds can be found here. Howard Sherman: What the hell is happening to Bat Out of Hell's US tour?